Pupil Progress Meetings are a great way to get an overview of what’s happening in school as well as identifying the best way to address issues. You can check that no child is being left behind, and that every opportunity is being taken to give all children access to the curriculum whilst helping the high attainers work towards greater depth. Many school leaders over the last three years have asked me how to manage pupil progress meetings in a life after levels. Actually, the way to do it is the same as how it should always have been done. Talking about how many pupils are a 4 Beg or 2 Dev is of as limited use as it was to discuss how many at a 2B or a 4A. A more useful discussion can be had around how children are accessing their learning, where they are being successful, what they are struggling with and what can be done to better resource the learning. Most importantly, find out how school leaders can support and empower teachers to meet the needs of every child. Taking the responsibility for 30+ children’s’ learning all the time can be very isolating and stressful for a teacher. Pupil Progress Meetings are an opportunity to share some of the load. Pupil Progress Meetings should never be about ticking a box to say, “Yep at this stage we have X% at the attainment level we expect.” As well as that being redundant, as you either already knew that or you should have, the issue here is also it encourages teachers to focus on the data that fulfils the tick box rather than that which promotes assessment for teaching and learning. Traditionally, your starting point for pupil progress meetings might have been to look at data for how vulnerable groups compare to each other within a class. These graphs are accessible from your homepage in Classroom Monitor. However, much as these comparisons can be the focus of discussion with outside agencies, they are not a quick way to discover who needs help or for you to find out how the school is performing with what you are already doing. One of my previous blogs looks at how these graphs can be used, however, to really look at the impact of interventions you already have in place to ensure that money and staffing are being used in the most efficient ways. So that can be an interesting and very productive discussion for SLT to have. I would not necessarily have that discussion with the teacher unless you are showing them what might change going forward to better support their and the pupils’ needs. Analysing this data before you see the teacher for Pupil Progress Meetings however, will put you in a strong position to pre-plan some support based on whole class/year/school needs which can then inform discussions about individual pupils with the teacher. The next place I would look, or ask subject leaders to analyse, is Curriculum Tracking. Curriculum Tracking gives a different view to the usual data model as it looks at strengths by strand and objective, rather than focussing on the pupils. It gives us a fresh look – instead of looking at data and thinking of certain children who may be skewing a graph one way or another, you start to see how one strand or certain objectives are affecting the data. You can, from here, look at which pupils are represented by clicking on a bar. However, the subject leader focus here is to find commonality across the school, which may call for CPD. For example: do all the pupils struggle with telling the time? Do we have enough resources for that? Have teachers got an arsenal of methods to use for teaching time to those who struggle? You may find that across the school it is fine, but two teachers struggle particularly to teach time and that may simply require them to observe lessons with other teachers or be mentored and do some team teaching. Simple fixes which improve teacher confidence and have a definite outcome. It could also flag up issues with methodology which has been part of previous CPD. Maybe those Guided Reading carousels don’t work after all? Or maybe they do and aren’t given enough time? These key questions come very easily from the type of data you have in Curriculum Tracking. It also stops any possibility of the teacher playing the tick-box game of assessment. Now we are focussing away from any type of “level” or “grade”, we are doing gap analysis of formative assessment. 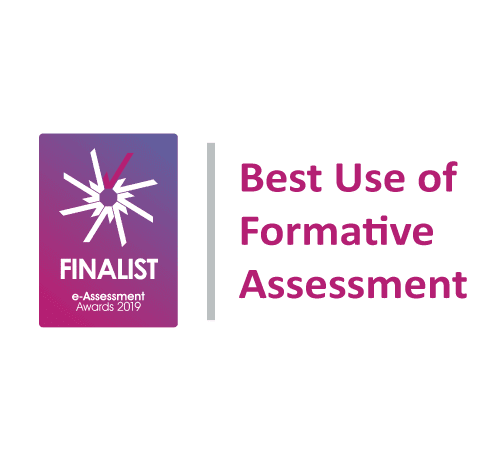 Which makes it an ideal time to check if the formative assessment matches any gap analysis you have from tests you are using. If there are big differences between the two then it may not be that the data shows an issue telling time – it might flag up an issue with understanding of assessment. These can simple fixes but are very important. Once you have done some analysis of the data as outlined above, the last (but most important) place to focus on for your Pupil Progress Meetings is the actual Class Markbook. There is no mistaking the rich data set available in the markbook. Re-order the markbook by attainment and you will easily find chunks of reds which would help to focus mid term planning of intervention groups and help the teacher to work through where some children are particularly struggling. You can look at individuals with SEND here and talk about their tailored and personalised learning. How much detail will really depend on what else is in place. The most important part is the discussion must focus on what’s next. A teacher should never feel impending doom around these meetings as they should always walk away feeling listened to, supported and given practical advice enabling them to put their next term’s lessons in place with confidence. Questions which I know can be asked in these meetings but are not helpful can include “Why hasn’t he achieved that?” but a simple switch to “Oh what do you need from me to help him achieve that?” makes a huge difference. The markbook is a great chance to see how much a teacher has done and listen to feedback on the school curriculum you have chosen as well. A great chance for professionals to discuss and debate and put in place transformational change for every pupil.